As the blessed holy month of Ramadan is here I want to wish you all a very Happy Ramadan. May this Blessed month bring you all ALLAH’S mercy, blessings and forgiveness. 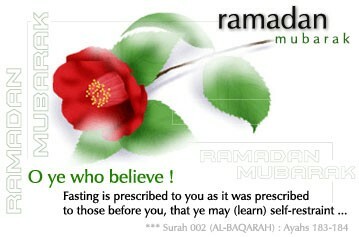 Ramazan mubarak to you and your family areej!